Compact KeySlope is perfect for a compact or small size keyboard. 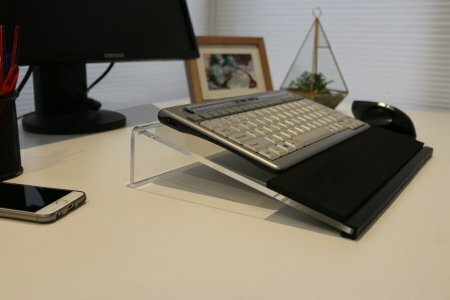 Compact KeySlope Keyboard Stand is perfect for a compact or small size keyboard. 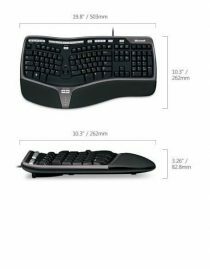 Using a compact keyboard on the compact size KeySlope, your mouse will be much closer to the body and the right arm and should in an optimal, relaxed and safe position. 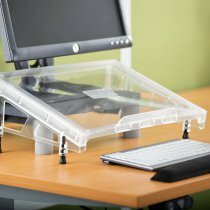 Ideal for right side neck, shoulder or arm discomfort, pin or injury. 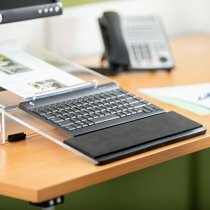 Posture correcting Compact KeySlope Keyboard Stand keyboard stand for typists who look down at the keyboard when keying.